The writer was described as a 'kind and tender man' whose writing displayed a 'restrained rage'. 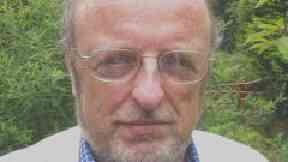 Tributes have been paid to Glaswegian poet Tom Leonard, who has died aged 74. The groundbreaking Scottish bard, who forged a reputation writing in the distinctive dialect of his nation, was hailed as a "thorn in the side" of the literary elite and a tender champion of social justice. A friend confirmed the passing of the poet, and praised the subversive intellect of the working-class writer, whose verse alternated between that of "a technician and an assassin". Leonard was born in Glasgow to working-class parents. He mixed with other prominent Scottish writers at the University of Glasgow, which he first attended in 1967, including Booker Prize winner James Kelma. Two years later he published Six Glasgow Poems, penned in unabashed Glaswegian dialect. His work was pioneering across his six-decade career as a writer, proudly representing the vernacular and the concerns of those who spoke it. Friend and fellow writer Darren McGarvey said: "He was a thorn in the side of anyone who thought that working-class culture was inferior. "Whether in the intellectual sense or the moral sense, I think he understood working-class culture as a parallel culture. "He spoke in a broad Glaswegian accent. He was just outwitting a lot of his contemporaries who came from far more privileged backgrounds." Leonard's work appeared on the GCSE syllabus as required reading, and his book Intimate Voices shared the Scottish Book Of The Year Award in 1984. He has been described as fierce and exact in his use of language, but also as a kind mentor and loyal friend. Those who knew him have commented on the personal tenderness of the poet, and his commitment to social justice, in the working-class communities of his native Glasgow, and beyond. Fellow Glaswegian McGarvey said: "He was a very kind and tender man, but there's a kind of restrained rage that you could detect. When I met him I was nobody. He gave me so much courage. "He was a fiercely independent guy. He was a really intelligent individual, beautifully articulate. "His command of English, and Scots, and his understanding of linguistics - he slipped between a technician and an assassin in how he delivered his words." His work led him to a position at the University of Glasgow, teaching creative writing in his home city from 2001 to 2009. Political views, including opposing US and UK interventionism and promoting a cultural boycott of Israel, weaved their way into his writings. Colin Herd, creative writing lecturer at the University Of Glasgow, said: "It is immensely sad to hear of the passing of Tom Leonard. As a poet and as a teacher of poetry, Tom Leonard has been an inspiration and guiding light for many contemporary poets internationally. "Tenderness, wit, intimacy, an unwavering antenna for social justice and an exploration of the politics of language are the hallmarks of his work. "We hosted a reading for him at The Poetry Club earlier this year. He read for 45 minutes straight, full of passion, full of life, to a packed venue."